We all can relate to the sense of adventure, accomplishment and serenity that climbing a tree can unleash. There is freedom and power in tree climbing. Your recreational tree climbing adventure can be in one of our stately live oaks at our home grove, along a favorite trail or river, or possibly in your own backyard or favorite park. 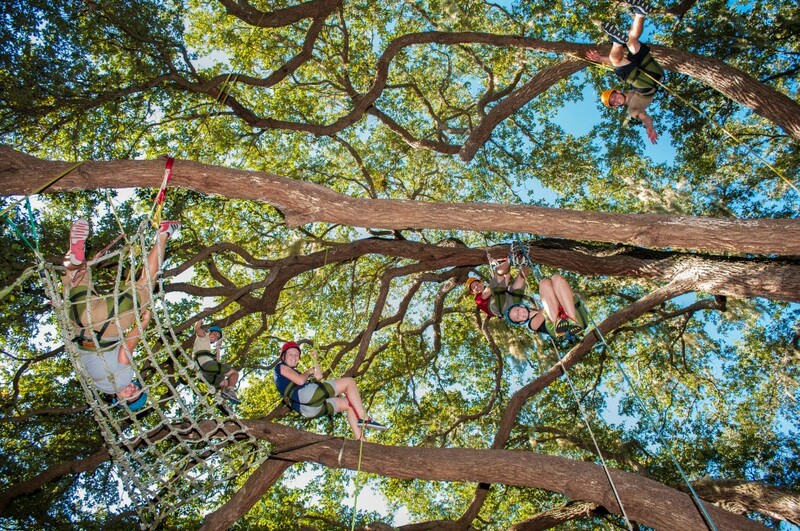 Using a rope-based climbing system, participants ascend up to 60 feet into the canopy of a towering tree. This experience combines the natural beauty of free climbing a tree with the safety and height potential of our High Ropes facilitation experience. 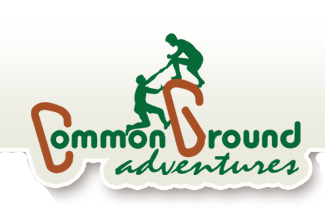 It works as a standalone adventure or an addition to one of our Team Building programs. For more information, see What is Recreational Tree Climbing? Due to their reasonable cost and high capacity, our Tree Climbing programs are great for birthday parties, family reunions, and fairs. For more information visit our Tree Climbing At Your Event page. We also offer Recreational Tree Climbing Training for individual adventures or organizations interested in adding Recreational Tree Climbing to their program. More information is available at our Recreational Tree Climbing Training page. Complete our online Program Pricing Request Form for a price estimate for your Recreational Tree Climbing Program.